In the drive to succeed in the social gaming market, companies like BJX Entertainment are striving to take new angles on classic games. 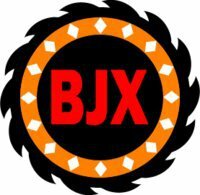 Despite changing laws around advertising in the United States, BJX Entertainment has found a new home for their most recent addition to the world of online gaming. What was originally planned to be a televised event by it's creators, Mark Koetting and David Thomas, BlackJack eXtreme has been released instead for the Facebook and iOS device market. The original dream for their new twist on an old classic hasn't been lost though, as Rohin Malhotra, the former CEO of World Poker Tour, has teamed up with BJX. Their combined effort will hopefully make their game into an internationally broadcast television experience on the same level that professional poker and blackjack tournaments currently enjoy. The game itself is a casino-inspired table game heavily inspired by blackjack, as the name itself implies with new twists and what seems to be a little insight from poker as well. Each round's winner is determined using the core set of rules from blackjack but gives both sides of the table some new abilities to make it even more exciting but still fairly balanced. The dealer, which can now be controlled by a human player, can make moves never before allowed, such as making hits on soft hands, those where an ace is combined with the other card in hand, given that it is not a ten or face card, to be an eleven or one. They can also fold bad hands as in poker as well as picking and choosing which of their cards is revealed to the players, giving a new avenue for strategy in defending the bankroll of the house. Players aren't left at the mercy of an overpowered dealer as they have been empowered with more loosely fitting rules. They can raise their bets from a double up or even go all in, a feature usually only seen in poker. If the dealer agrees, players can tip the table in their favour by taking an unlimited number of hits as well as split aces if they so choose.